Please join us for the 9th Annual Lower Makefield Veterans Day Parade on Sunday, November 8th beginning at 1pm. This year’s Parade Marshal is Andrew M. Swider, Sergeant, United States Army, Vietnam. Ceremony will immediately follow at Veterans Square Park featuring Keynote Speaker Terry Nau, a Vietnam Veteran, author and PHS graduate and musical guests PHS Marching Band and PHS Chamber Choir Quartet. The parade will start on Edgewood Rd at Longacre Rd - the parade will end at Veterans Square Monument with a short ceremony. Spectators are encouraged to line Edgewood Rd on either side. Participants must reach out to ltodd@lmt.org if they have not already done so and must be at muster site no later than 12:30pm. View our parade flyer here. View info on road closures here. 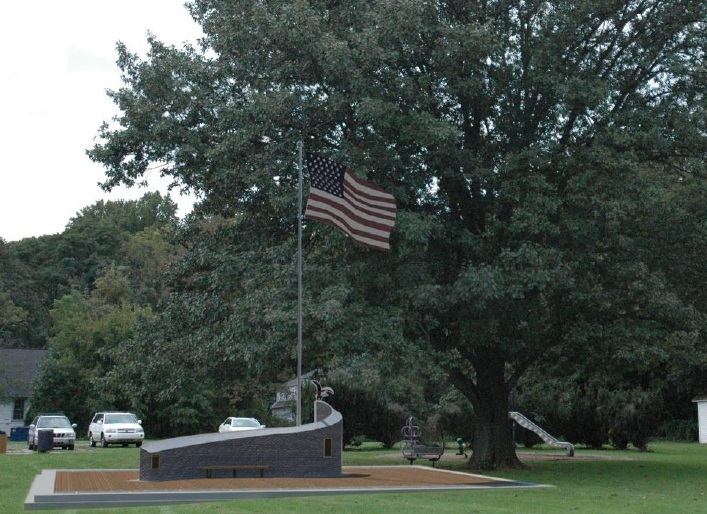 Ever since our first event, the Kickoff in March of 2009. the Veterans Committee has worked very hard to ensure a continuous effort towards raising the necessary funds to build the monument. April 2010 - Stepping Stone Campaign. We raised over $10,000 towards the Monument project, raised continued awareness - and sold our first batch of Engraved Bricks! Please visit our Sponsors page to see the list of all the folks that made this night a success! September 2011 - Groundbreaking Ceremony and Community Concert - Groundbreaking was postponed due to inclement weather, but the Masonic Lodge allowed the concert to be held inside saving the day for us. Pennsbury Community Band put on a great show with a packed house. We also auctioned off painted, unique eagles donated by Artists of Yardley. November 2011 - Veterans Parade and Groundbreaking.